This book examines Hinduism from both a historical and contemporary perspective. 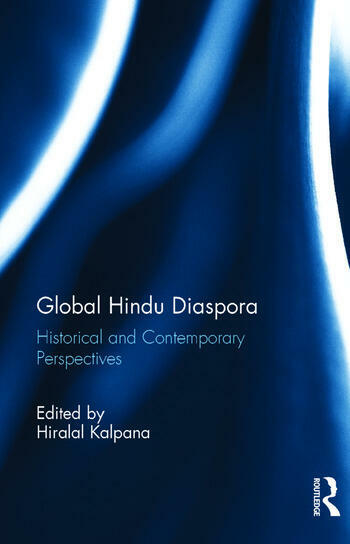 It provides some interesting insights into factors that shaped and defined Hinduism in the diaspora. It also examines the challenges facing Hinduism in the twenty-first century. In recent years the growing conversions of Hindus to other religions, the complexities of caste, the impact of AIDS, and the need to reinvigorate the youth in Hindu teachings are just some of the issues that it faces. What shape and form will Hinduism take in the twenty-first century? What will Hinduism look like in the future? These relevant questions are the subject of debate and deliberations amongst religious scholars, academics and politicians. This edited collection addresses some of these questions as well as the relationship between religion and diaspora within historical and contemporary perspectives. Kalpana Hiralal is an Associate Professor of History at the University of KwaZulu-Natal, South Africa. Her PhD dissertation focused on Indian immigrants to Africa in the context of settlement, trade and identity formation. Her current research focus is on African and South Asian Diaspora and gender and politics in South Africa. She co-edited a book titled 1913, Satyagraha, Passive Resistance and its Legacy in 2015.